Game Hunting & Snow Goose,Canada Goose and Diver Duck Outfitters - Big Game, Snow Goose and Duck Hunting in New England & Eastern Shores areas. The best Canada Goose and Snow Goose Hunting Guides in Maryland and New York. Guided Turkey Hunting in Delaware, Maryland & beyond. 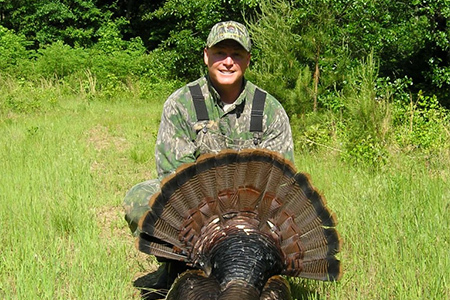 Delmarva Outdoor Adventure is Delaware and Maryland’s leading outfitters for guided Turkey hunting. DOA Outfitters provide the ultimate Big Game experience for Whitetail, Sika Deer, Wild Boar, Bear and more. The East Coast’s Hunting Specialists. DOA Outfitters Hunting Club is a hunting club and hunting guide service based in Maryland with locations in New York and South Carolina. From these bases we offer an almost endless variety of hunts to suit every taste. Whether it’s Wild Boar Hunting,other big game like deer and bear or any of our waterfowl hunts such as Snow Geese, Diver Ducks, Black Duck, Canada Geese we have the best hunters to make your experience one to remember. D.O.A. Outfitters provides clients from all over the world with trophies for their walls and lifetime memories. We are proud of our hunting business and we can assist you with creating the perfect outdoor adventure. We provide a stress free service which includes full itinerary, hunting license, lodging and meals by request. We maintain and provide up-to-date information on conditions and seasonal requirements for all hunts in every state in which we operate, (see below for a full list of States). The Snow Goose hunting in Maryland this past year was tremendous! This coming season is guaranteed to be more of the same – book now for Snow Goose Hunting MD starting in November in many states including Maryland, Virginia, North Carolina, Vermont, New York & Delaware. Snow Goose hunting Maryland. It is about to get ugly. Our Snow Goose Hunting In New York is one of the most popular of all hunts in the Empire State because of the sheer volume of migratory waterfowl found in those fields. From Greater Snow Geese to the Lesser Blue Goose, you can find them all here ready and waiting for you to take aim. Want to see more? Click here to view our amazing site dedicated to Snow Goose Hunting! Our popular guided hunts for Giant Canada Geese in Maryland and Delaware are legendary. When it comes to choosing a waterfowl outfitter for a goose hunt, DOA Outfitters is the company to call. Speak with Captain Joe Austin for more information on any of our trips which also include Blue Goose and Specklebelly Goose hunting. Diving Ducks also known as Pochards and Scaups can be found in plentiful supply in Maryland and Delaware. Our Diver Duck Hunting in Maryland is located in the hunting fields of Chesapeake Bay. We offer unrivaled trips whichever location you choose. In addition to diver ducks we are also experienced puddle duck,sea duck and black duck outfitters. No matter if it’s a Thanksgiving turkey hunt or not, we offer fantastic opportunities to get down to the serious business! We have Red Fox Labrador Puppies for sale right now! Every year we have 2 litters of pedigree red fox labs from one of our very own hunting bloodlines. These puppies are in high demand, so contact Joe today to avoid disappointment. More details on these amazing labradors can be found on our labrador kennel page. Our Studs are available for service year-round – contact us today for more information. We can help with arrangements for lodging if you want to make your hunting adventure a weekend outing (or more). To book a hunt, keep it simple. Just call Joe at 410-603-1400 or 315-889-1790. We go to great extremes to only provide the highest quality hunts possible. URE A Duck Motorized And Wind Activated Decoys. Come experience the breathtaking beauty and Heart Pumping action of our hunts in West Virginia, Maryland & Virginia’s Eastern Shore, New York, Delaware, Massachusetts, Vermont & North & South Carolina as we harvest our game. Relax with us at our newly expanded hunting lodge. Regardless of what type of hunting trip you are looking for, D.O.A. Outfitters will help you find it. If you want to see what is available, our website provides the latest information on what is available. If you want to see how what fowls are in season for hunting in Maryland, North Carolina, South Carolina, or New York, our website will give you detailed information, as well as clear pictures of what the hunting grounds look like. This is one of the many added bonuses of working with one of the most accomplished and capable hunting companies in the world. If you want help from the principal deer and waterfowl hunting businesses, contact D.O.A. Outfitters. D.O.A. Outfitters has been in business for 16 years, which means you can expect professional and courteous treatment. Since the beginning, D.O.A. Outfitters has provided the hunting community with the unequivocal best in fowl, deer, and bear hunting services. We will help you with whatever you need in order to make your hunting expedition as exciting as possible. With our “client first” philosophy, we continually work hard to perfect our customer service skills to offer you the hunting services possible. There is no limit to the hunting that D.O.A. Outfitters can give to you. Whether you are looking for to plan your first deer hunting trip, or you want to go on a duck hunting trip with friends, D.O.A. Outfitters will make your desires a reality. You can relax knowing that we are handling your hunting needs. If you want the waterfowl, deer, and bear hunting company in NY, MD, SC, and NC, call D.O.A. Outfitters today! If you are looking to take a Canada goose hunting or a speckle belly goose hunting trip, try D.O.A. Outfitters. Finding a place to enjoy a good hunting can take a lot of time and energy. You have to search every website newspaper and online post, make numerous phone calls to gather information, and then keep all the details updated. The whole process can be tiring, time-consuming, and worst of all, the information on a hunting site can change in an instance without you even knowing it. If you want to avoid the drama and aggravation, D.O.A. Outfitters can offer you the most professional and friendliest customer service of any hunting business operating in New York, Maryland, South Carolina, and North Carolina. No other guided hunting trip provider delivers up-to-date, client-oriented service like we do. Regardless of what type of animal you are looking to hunt, you can expect to receive help from a skilled and experienced hunting staff whose only goal is to make sure your needs are met. Using a professional hunting business is the ideal way to avoid having to deal with hours of searching online hunting listings and trying to keep the latest information current. Best of all, every single piece of information we have is accurate. It will help you in making the correct decision in where you next hunting trip will be located. You won’t have to worry about handling everything on your own. You can relax and let D.O.A. Outfitters take care of finding your ideal deer, duck, or bear hunting adventure. If you want to form the ideal outdoor hunting trip, choose the professional and courteous staff at D.O.A. Outfitters. It is no surprise that the NY, MD, NC, and SC areas contain vast numbers of amazing hunting grounds. D.O.A. Outfitters prides itself on offering personable and efficient client service when assisting our clients in finding a new hunting ground or a place to enjoy a hunting expedition. We will happily help you in your search for the perfect place for you and your friends to hunt. Moreover, we got all the information you will need when you are ready to go on your hunting trip. Whatever the case may be, D.O.A. Outfitters is the premier choice in NY, MD, SC, and NC hunting outdoor adventure businesses.